Hummus. The word itself gets my mouth watering, and brings a smile to my face. The chickpea and tahini based spread of Middle Eastern origin found its way into my diet at an early age, probably around the time I threw a hissy fit at age 12 and refused to eat meat for all of my adolescent years, much to my family’s great annoyance. A cheap, healthy, filling snack full of much needed protein, I think I’ve lived on hummus alone at times. Enter the university years at Concordia, and hummus became very much a right of passage at many pot luck dinners and vegan soup kitchens. I’m half convinced one needs to be fully proficient in hummus making in order to complete their degree at Concordia University. The first time I went to Israel, I didn’t get to thoroughly test this theory. I was traveling with Birthright Israel, so our meals were all buffet-style deals in the hotel in the morning, and often the same thing for dinner. Lunch tended to be the first falafel stand we could find. Hummus was ever-present on these buffets, but it had no lingering impression on my mind. 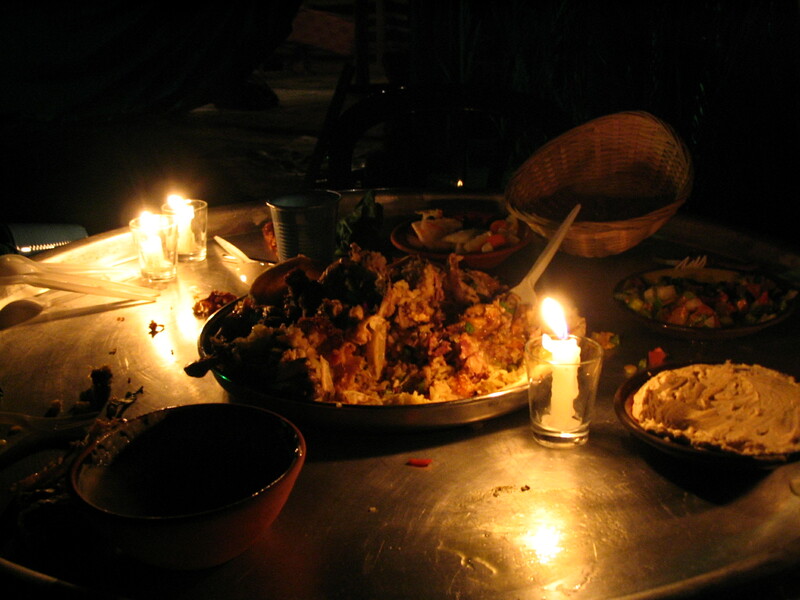 There was some rather upstanding hummus served to us by a group of Bedouins down in the Negev dessert, as we ate family-style in their tents by candle light. 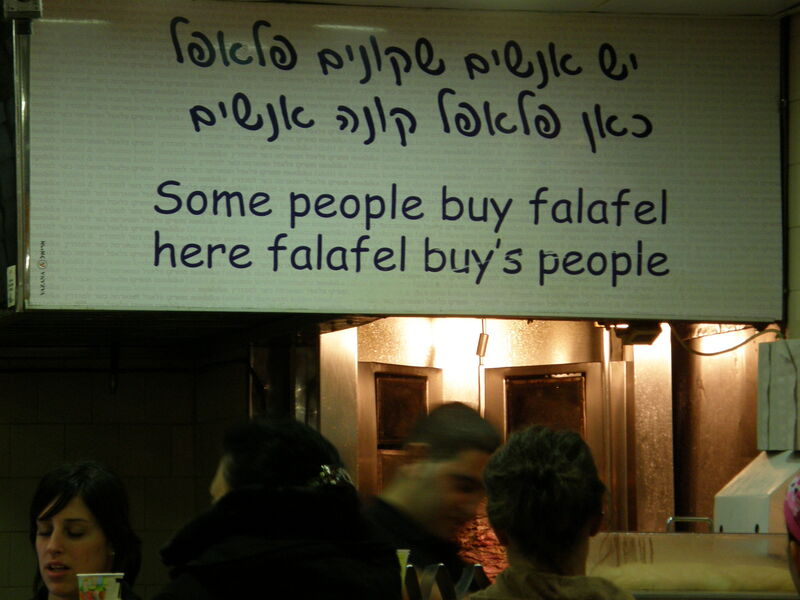 This had less of an impact on me then the ubiquitous falafel. I could eat falafel three times a day and be perfectly happy. I had figured out which vendors in Jerusalem’s Old City had the best ones, and kept going back for more. I started my deep scientific research on hummus quest for the best hummus by asking my friend David on our flight to Tel Aviv to tell me his favourite place for hummus. David has lived in Israel for a few years, and knows his way around a bowl of mashed up chickpeas. He told me to go to Abu Ghosh, an Arab-Israeli town (not to be confused with a Palestinian town) about 10 km outside of Jerusalem. According to Wikipedia, this town took the World Guinness Record of the largest Hummus dish in 2010. OK then! David told me I didn’t have to go anywhere specific, even a grocery store would do. 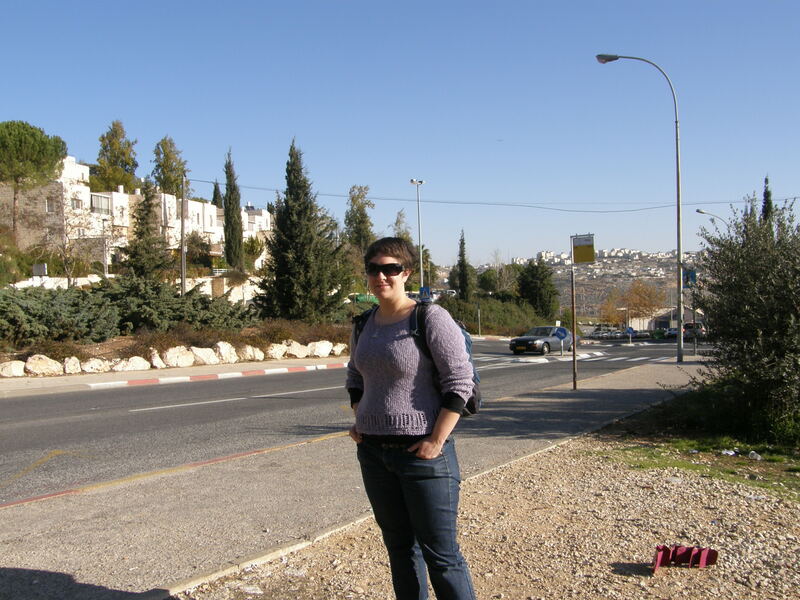 I took a bus one morning to Abu Ghosh, got some pita from a street vendor, and walked into the first grocery store I could find. My mouth exploded with olive oil and happiness. Oh, here I am waiting for the bus that morning. Standing at the corner, waiting for the bus, hey hey! David and I ate a rather unprecedented amount of hummus when we were in Cairo. Although the fresh fruit and vegetables looked enticing, our delicate western stomaches were unable to digest any raw fruit or vegetable that we could not peel – and wouldn’t you know, there were tomatoes and apples everywhere. We were further restricted by David’s kosher requirements – so meat was essentially off-limits, as were some fish. You guessed it. Pita and hummus. Lots of it. Gobs of it. I started to pity the 10 young Mexicans sharing our bus with us, since they were able to eat fresh vegetables and didn’t have such a limited diet. You get the picture. Legumes are particularly well-suited to bringing on flatulence. Half the time I blindly pointed at the garbled translations on the menu and hoped for the best. I returned to Israel, and told my friend Meir about my hummus quest. Meir’s family was gracious enough to let me stay with them whenever I passed through Jerusalem, and I discovered that hummus was a mainstay in their Friday night Shabbat dinner. I clearly fell in with the right crowd. One morning, Meir woke me up bright and early. “We are going on an adventure for hummus today,” he said. 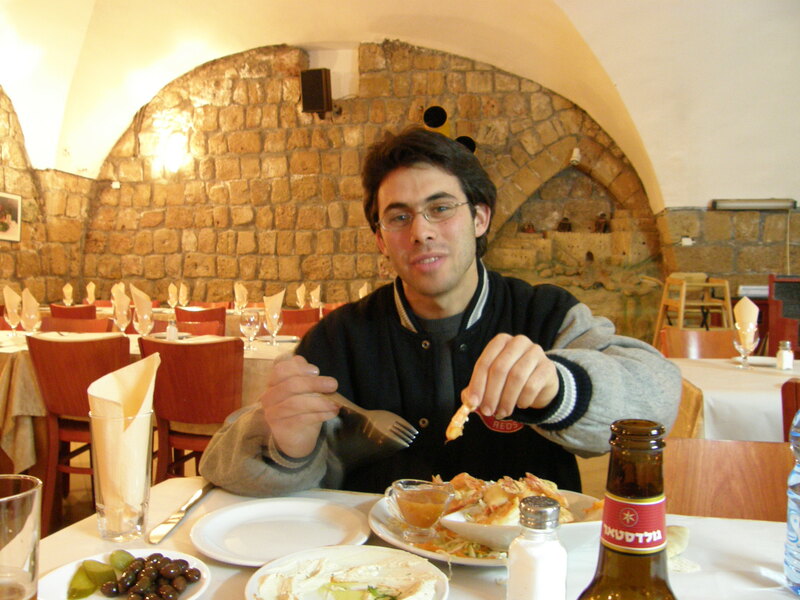 In my mind, that meant we were going to take the bus from his family’s suburb, Ramot, into the centre of Jerusalem and go to one of the really good restaurants in the Muslim quarter. I was mistaken, as we were soon queueing up to go through security in Jerusalem’s central bus station. As we sped towards Tel Aviv in a bus, I realized we were going a lot further that day then I bargained for. When we got to the train station in Tel Aviv he finally shed some light on our destination. “We’re going to Acre today.” Acre. 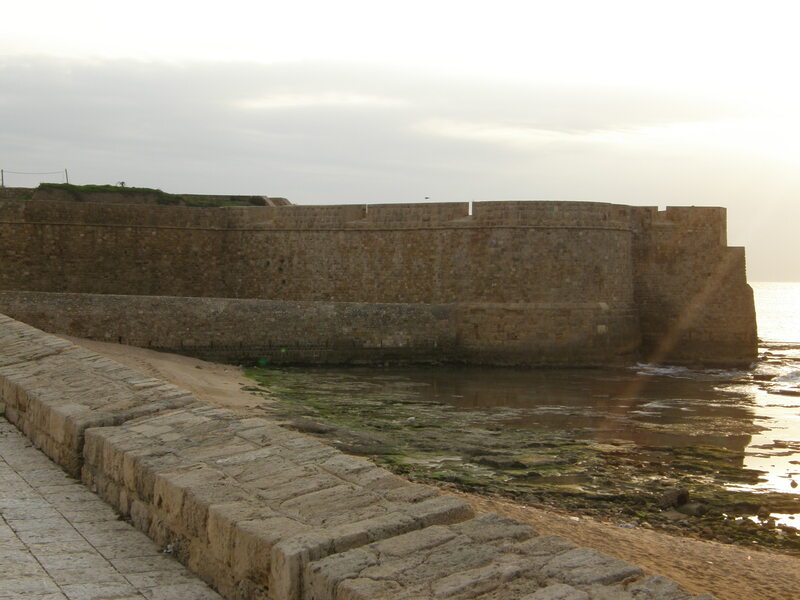 Acre is past Haifa up on the Mediterranean coast, 173 km from our point of origin in Jerusalem. 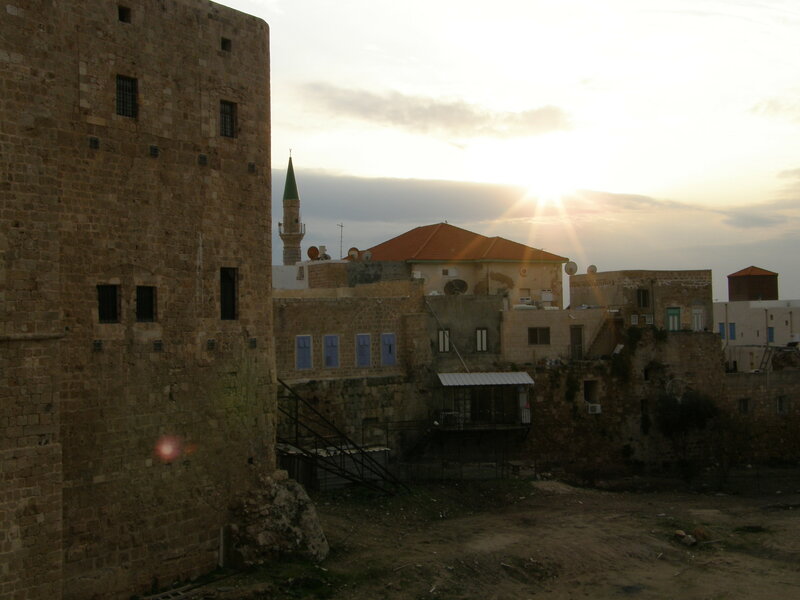 It took us a good 3 hours to get to Acre – and yes, we were going there just for the hummus. OK, and to satisfy my seafood craving, since Acre was an Arab village and therefore it was possible to find treats like shrimp. I guess the journey was with it. It was a really nice town, which makes sense it is a designated UNESCO World Heritage Site. And the hummus was really good. Was it worth a 6 hour round trip? Probably not, but I enjoyed taking the train along the coast from Tel Aviv to Acre, and it was a nice change from museums and constant haggling in the souk. Meir got to eat things he never tried before. I got to try his favourite hummus. Isn’t that what counts? For the record, the best hummus has two contenders in my mind, but it wasn’t at either one of these places. 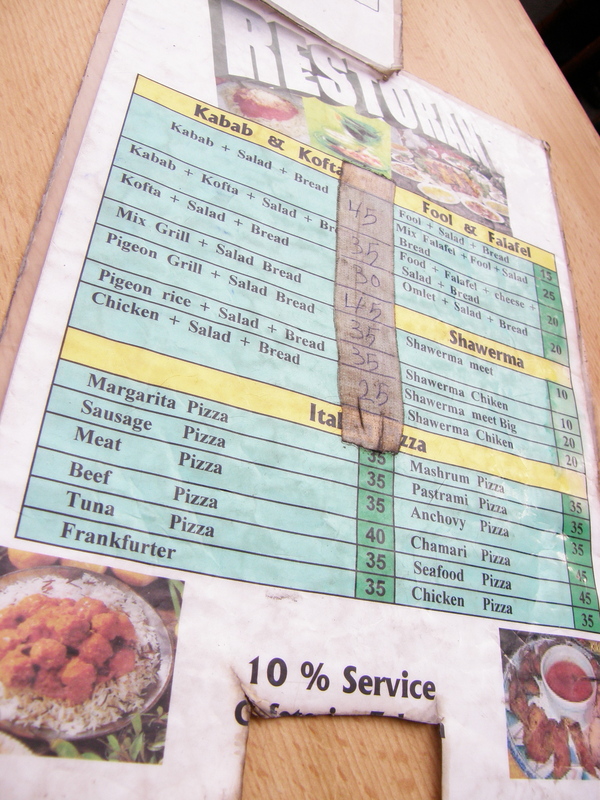 In Jaffa, there was a small restaurant run by an Arab family near the central square where all of the busses stop. I can’t for the life of me remember the name, and my photos fail me. I got ridiculously lost one day in Tel Aviv and took the bus into Jaffa instead of back to my dreadful hostel, Momo’s. It was just as well. Instead of cooking dinner in their roach infested kitchen, I ended up having the best hummus in the world and some grilled fish. The other place’s name also evades me, unfortunately. It was a hotel restaurant in Wadi Musa, the closest town to Petra, Jordan. I stopped in there for some food before heading off on a long bus ride back to the Israeli/Jordanian border between Eilat and Aqaba. I still dream about this hummus. So what is the secret to good hummus? Garlic – but not too much of it. Olive oil – again, not too much of it. Blending it just right. You will just know when you’ve got it right. When in doubt, add a tiny bit more olive oil, since most homemade hummus makes the mistake of being too dry. It’s also not too complicated to make your own pita bread, just remember to take it out of the oven when you see it puff out, otherwise it will harden that way. Of course, you should take my pita advise with a grain of salt. I irritated an old shoulder injury the last time I made my own pita, and vowed to never do it again. This entry was posted in Uncategorized and tagged Egypt, Food, Israel, Jordan by hoboshutterbug. Bookmark the permalink. Appropriately, I nommed this article while reading hummus and pita leftover from last night. Wait, that’s not right. Maybe try that the other way around. In any case, this part of the world sounds delicious and I wish to eat it.